There is no joke when it comes to nature. Hurricanes season is near and we should all be alert to ensure our safety. - 0-2 major hurricanes – those of at least Category 3 strength on the Saffir-Simpson Hurricane Wind Scale." On another note, according to meteorologist Dr. Todd Crawford of the Weather Channel Professional Division, “Both the dynamical models and our proprietary statistical models suggest a relatively quiet tropical season this year.”(weather.com) Although the hurricane season this year is said to be “below-normal”, the major websites for natural disasters and emergency situations must be up and running 24/7. After all, it’s hurricane season - forecasts may simply be false, and people must have an immediate access to life-saving information. If traffic to these websites is too heavy, they may crash and that might cause serious troubles. That is why we decided to monitor 5 of the most used websites for weather and natural disasters and emergency situations. We will be recording their response time (performance) and uptime (availability) during the whole hurricane season. At the end of the season, we will release statistics of which websites were most reliable and well-prepared to bear heavy traffic load. 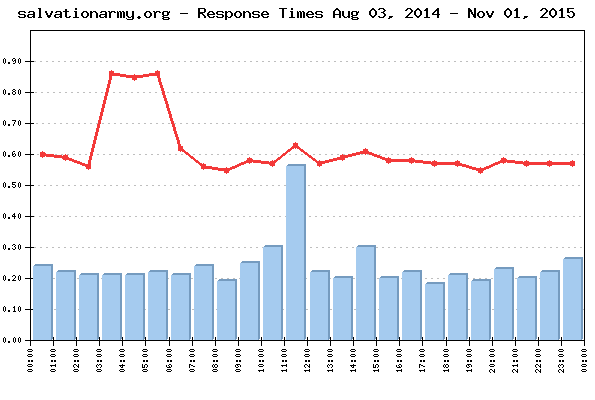 The daily Average Response time from all monitored websites was 0.526 sec. The Average Response time as measured from the US East Coast (Trumbull, CT) was: 0.437 sec. 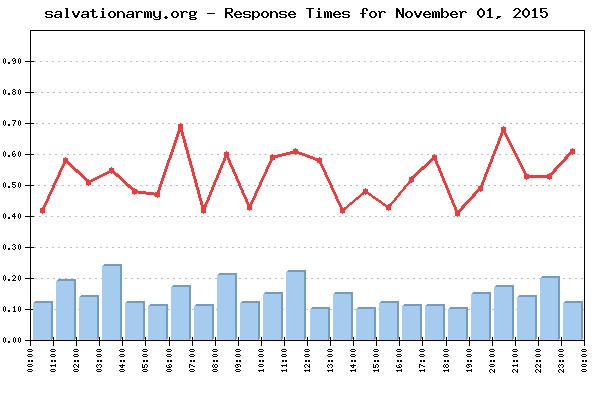 The Average Response time as measured from the US West Coast (San Francisco, CA) was: 0.657 sec. 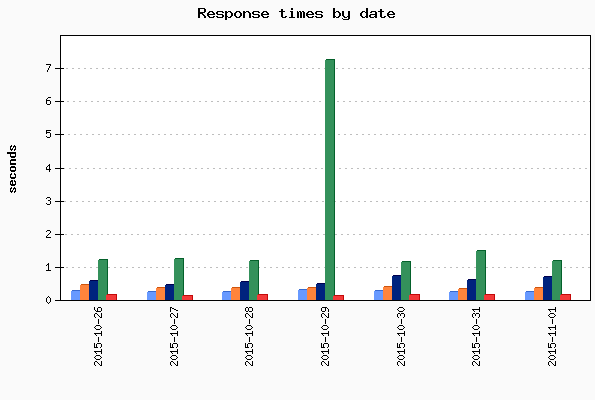 The Average Response time as measured from the US Central was (Chicago, IL): 0.483 sec. The Best Response time measured from US East Coast (Trumbull, CT): 0.071 sec. The Best Response time measured from US West Coast (San Francisco, CA): 0.237 sec. The Best Response time measured from US Central was (Chicago, IL): 0.127 sec. The typical shopping transaction took the least time for salvationarmy.org visitors - 0.145 sec., while the visitors of floridadisaster.org had to be the most patient, as the shopping transaction there took in average of 1.186 sec. No events of particular importance or possible negative impact on the online visitors' interaction with the Websites included into the 2015 Hurricane Season report were detected during the reported period, and according to WebSitePulse, the Group delivered the expected levels of End-User experience and Customer satisfaction.